Shannon Houde has more than two decades mentoring, coaching and training more than 1000 professionals and Masters graduates in the impact sector across 30+ countries and over 3000 hours. As an ICF certified executive coach and selected member of the Forbes Coaches Council, Shannon pushes the boundaries of personal growth through designing innovative learning frameworks and collaborating across her global network. Shannon has more than two decades mentoring, coaching and training more than 1,000 professionals and Masters graduates in the impact sector across 30+ countries. Previously she had a portfolio career herself, changing jobs every 1.5 years – as a hiring manager, a business strategist, and accountant and a CR management consultant for Deloitte, Corporate Citizenship, Barclays Global Investors, GE Capital, Adobe and WWF. 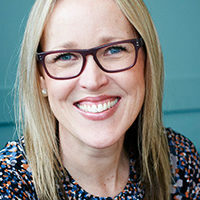 Shannon spent five years managing cross-cultural teams and CR projects globally for FTSE 250 clients including Altria, Argos/Homebase, Cadbury Schweppes, EMI, L’Oreal, Nokia, Reuters, UNICEF, Vodafone Group, and Yell. She speaks French and Spanish and holds an MBA in International Management from Thunderbird in Arizona and Switzerland as well as a BS in Sociology from the University of Colorado, Boulder. Shannon has served in leadership roles for Net Impact since 2003 and is currently an Advisor to the CEO on careers strategies for their members.